PROTECT PUBLIC ACCESS. 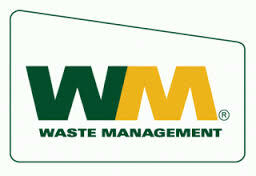 PROMOTE RESPONSIBLE USE. PRESERVE THE TRADITION. Welcome to Masonboro.org! Our mission is to protect public access, promote responsible use and preserve the traditions of Masonboro Island. We work to keep the traditions of Masonboro Island -- surfing, camping, fishing, boating, paddleboarding -- open to you, your kids and even your pets for years to come. 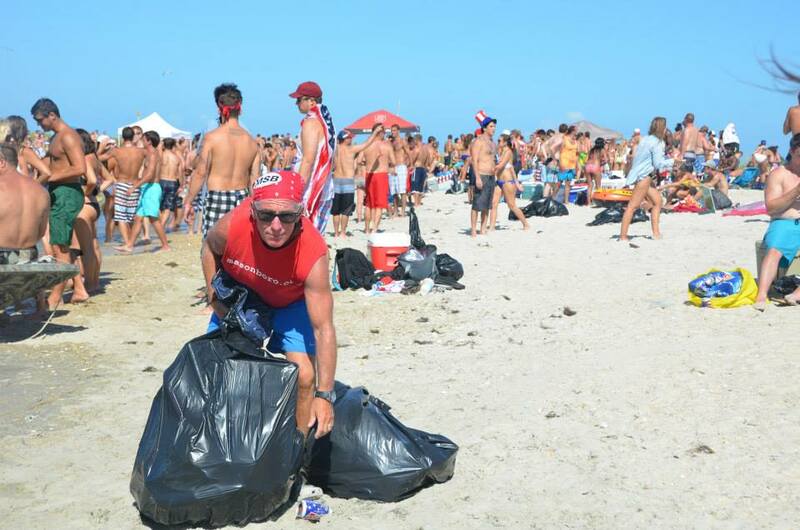 Since 2009, hundreds of our grassroots, "red shirt" volunteers have removed and recycled tons of trash off of Masonboro Island during the annual 4th of July Celebration. In 2013 we launched the Masonboro Island Explorer [ILX] program: an educational, science-based field trip to Masonboro Island for 50 fifth-grade students in New Hanover County. This year we are expanding this program to every fifth-grader - that's 1300 kids! Our success has come from the wide support we have received from the community. 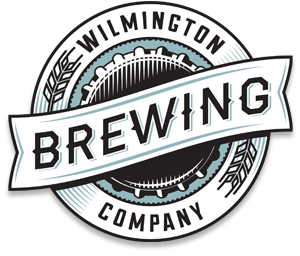 We are always looking for volunteers to help us with our programs so please consider joining today and becoming a part of this new Masonboro tradition. Our mission is to protect public access, promote responsible use and preserve the traditions of Masonboro Island. We strive to keep the traditions of Masonboro Island -- surfing, camping, fishing, boating, paddleboarding -- open to you, your kids and even your pets for years to come. 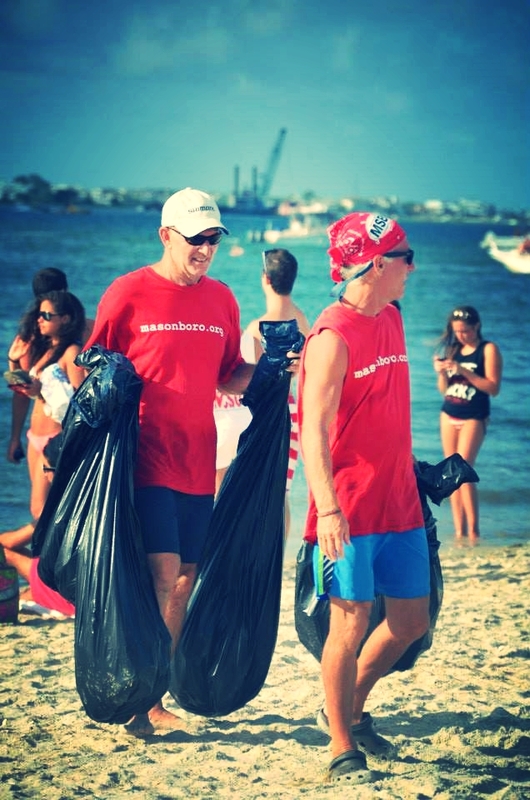 Since 2009, hundreds of our grassroots, RED SHIRT volunteers have removed and recycled tons of trash off of Masonboro Island during the annual 4th of July Celebration. In 2013 we launched the Masonboro Island Explorer [ILX] program: an educational, science-based field trip to Masonboro Island for 50 fifth-grade students in New Hanover County. This year we are expanding this program to over 1300 students. Island Explorers Program Launched in 2013. Since then, over 13,000 students have been a part of the program. Sign up here to receive our newsletter. 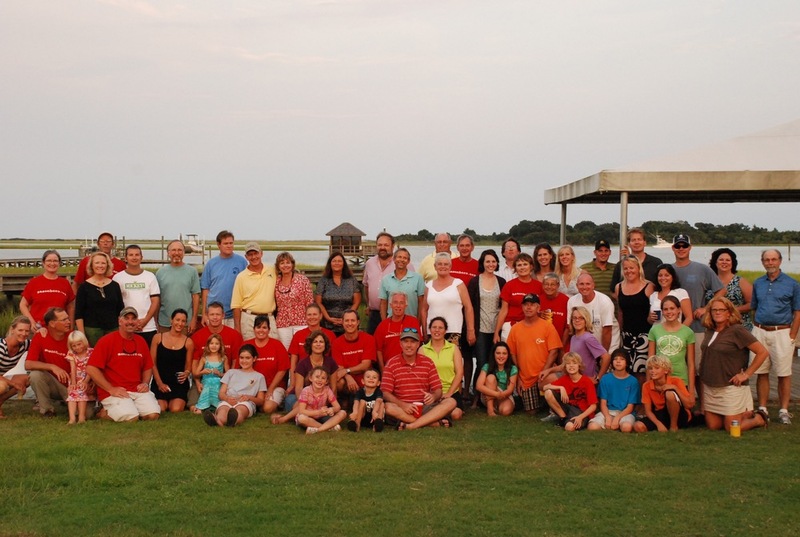 We have plenty of community events every year for people who love Masonboro Island. Plus, we'll keep you up to date on our Spring Benefit and our volunteer and sponsor appreciation oyster roast. If you want to be a volunteer for our July 4th clean-up or the island explorer project, click the sign-me-up button and we'll connect you with our volunteer coordinator. CLICK HERE TO BECOME A REDSHIRT TODAY! We invite you to consider a gift to Masonboro.Org. We are a 501(c)3 non-profit run by volunteers and a small board of directors. Your donations or sponsorship go directly to our programs. Every $35 gift Masonboro.Org receives makes a difference. That gift of $35 gift will send one volunteer over to Masonboro Island for our annual clean-up on the Fourth of July. 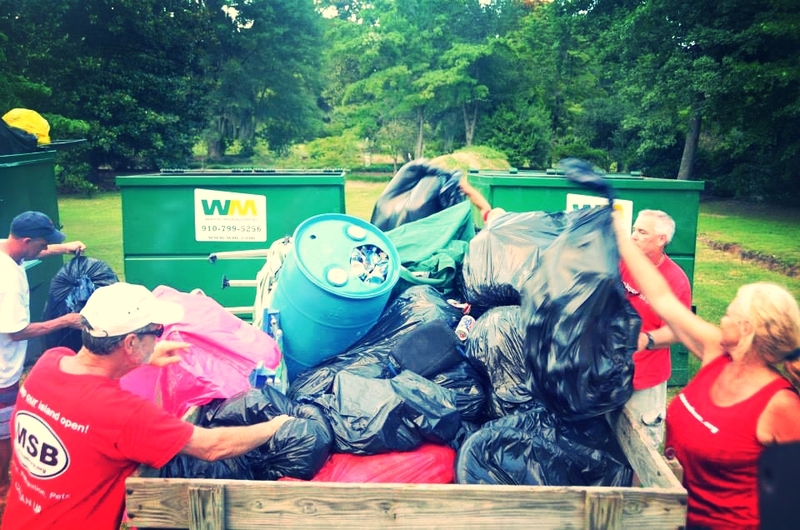 This year, our 70+ volunteers removed and recycled5,800 pounds of trash during the annual Independence Day celebration. A gift of $35 will send one fifth grader from New Hanover county to Masonboro Island. 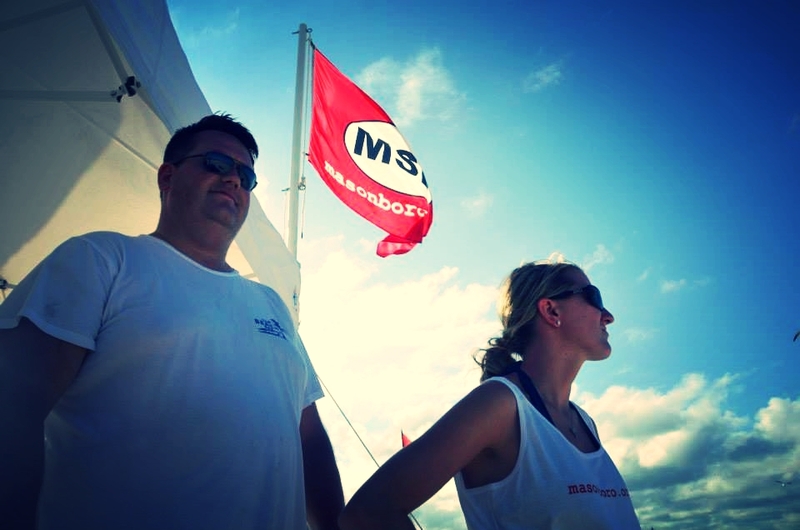 A gift of $70 will enroll two students or send two MSB.ORG volunteers to the island for the Fourth of July clean-up. A gift of $140 will send four students to Masonboro Island for the Island Explorer program. A $700 gift will send a class of 20 students to the island!